Marranos or Secret Jews were Jews resident in the Iberian peninsula in the late fourteenth through seventeenth centuries who adopted Christianity, either through coercion or for convenience, publicly professing Roman Catholicism but secretly adhering to Judaism. 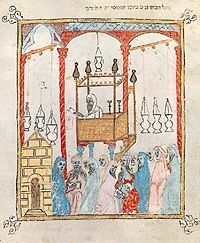 Many Jews converted to Christianity after the reconquest of Spain from Islamic control resulted in a wave of intolerance toward Jews beginning in the late fourteenth century. These conversos (converts), as they were also called, numbered over 100,000 in Iberia. They were also known by the name of Cristianos nuevos (New Christians). Jews referred to them as anusim (the constrained ones), a general word for forced converts from Judaism. Although the exact origin of the word is uncertain, the term Marranos in Spanish and Portuguese meant "pigs," and may have stemmed from the ritual prohibition against eating pork among both Jews and Muslims. The conversion of these Jews to Christianity soon became suspect, resulting in several waves of severe persecution against them, in which thousands died. The Spanish Inquisition was instituted in the late fifteenth century to expose Marranos whose Christianity was insincere, and the expulsion of the Jews from Spain in 1492 resulted in part from accusations that Jews were tempting the Marranos to sin by reverting to Judaism. The treatment of the Marranos stemmed to a large degree from Christian Anti-Judaism in general and laid the foundation for the future history of the persecution of the Jews in Europe. Spain and Portugal possessed a sizable Jewish population in the late Middle Ages under Muslim rule due to the relatively tolerant policy of Islam to people "of the Book." After the Spanish reconquista of Muslim lands, however, Christian Anti-Judaism put the Jews under considerable pressure to convert. In the late fourteenth century, Christian mobs attacked the Jewish "Christ-killers," and thousands of Jews became martyrs for their faith. Many more, however, took the expedient course of allowing themselves to be led to the baptismal fount. About 100,000 Jews thus became "conversos." Over the next century, many of the conversos were able to practice Judaism covertly and even to form secret Jewish communities. Some of these "Marranos" had considerable wealth and occupied influential positions at court, and occasionally even in the hierarchy of the Catholic Church. A wave of suspicion thus spread against all conversos regarding the sincerity of their conversions, resulting in persecution. In Cordoba, anti-Marrano violence broke out in 1473, resulting in many deaths and widespread destruction of property. Mob violence soon spread to other cities, resulting in several reported massacres of Jews and former-Jews. 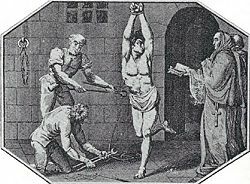 In 1480, the Catholic Church instituted the Spanish Inquisition to carry out a more systematic persecution of crypto-Jews, as opposed to sincere conversos. Since such crypto-Jews pretended to be Christians, they could be persecuted for the heresy of Christian Judaism, and more than 300 Marranos were thus burned at the stake. The number of victims of various forms of official and unofficial violence against Marranos and conversos is hard to know for certain, but the number of deaths is estimated in the tens of thousands. Nevertheless, many conversos continued to associate with their Jewish relatives and neighbors. Many practiced some form of Judaism in private—whether circumcising their sons, offering prayers in Hebrew, or simply declining to eat pork out of a long-ingrained revulsion to non-kosher foods. Popular animosity toward alleged Jewish influence in society thus continued to grow. Believing that the presence of Jews was a temptation to the Marranos, Spanish authorities eventually decided that all Jews must be expelled. The infamous expulsion was issued on March 31, 1492. A resulting influx of Jews and conversos to Portugal resulted in a similar policy being instituted there in 1497, followed by another expulsion order in Navarre in 1498. A minority of Jews avoided expulsion by converting, thus adding to the ranks of the Marranos. The Inquisition, meanwhile, continued its efforts to root out any remaining crypto-Jews. As a result, many Marranos eventually left Spain and Portugal, emigrating mainly to other European nations and North Africa. By the mid-1700s, the Marranos had for the most disappeared either though emigration or assimilation. Jewish converts to Catholicism in Spain and Portugal during this period may be divided into three categories: true converts, public converts who retained various degrees of Judaism while assimilating into Christian society, and temporary converts. The categories overlap to a degree, and all three could be referred to as Marranos, although the term is generally used to describe the latter two categories. The first category comprised those who legitimately converted to Christianity, whether for expedience or a sincere belief in the Christian faith. This group truly considered themselves Christians and raised their families as such. These were called "New Christians" or "conversos." A number of Spanish poets belong to this category, such as Pero Ferrus, Juan de Valladolid, Rodrigo Cota, and Juan de España of Toledo. Called also "El Viejo" (the old one), Juan de España had been a Talmudic scholar before his conversion and used his knowledge to engage in often mocking criticism of his former co-religionists. A number of conversos, eager to display their new Christian zeal, persecuted other Jews, denouncing secret Jews to the authorities, as happened frequently at Valencia, Barcelona, and other cities. On the other hand, during times of persecution, New Christians could easily fall under suspicion and become victims of mob violence, especially if they maintained ties to their Jewish relatives and neighbors. The second category consisted of those who held on to the Jewish customs and faith in which they had been reared. These were known as "Judíos Escondidos"—hidden Jews. They secretly preserved the religion of their fathers and, in spite of the high positions which some held, observed Jewish traditions in private. Many of the wealthiest supposed coverts of Aragon belonged to this category. Some constructed hidden synagogues in their homes, to which trusted neighbors might be invited, while others used their influence at court to protect the Jewish and converso community from persecution. The third category, which included the largest group of conversos, comprised those who yielded through stress of circumstances, but seized the first opportunity to return publicly their faith when it became safe to do so. The degree to which these conversos adhered privately to Jewish law varied. To this group the rabbis often applied the Talmudic passage: "Although he has sinned, he must still be considered a Jew." Such conversos lived outwardly as Christians but retained ties to Jewish kin. In 1391, Regent Queen Eleanor of Castile gave Archdeacon Ferrand Martinez of Ecija considerable authority, which he used to incite violence against the Jews, culminating in the sack of the Jewish quarter of Seville on June 4, 1391. Throughout Spain during this year, the cities of Ecija, Carmona, Córdoba, Toledo, Barcelona, and many others saw their Jewish quarters destroyed and many Jews massacred. An estimated 100,000-200,000 Jews saved their lives by converting to Christianity in the wake of these persecutions. However, the large numbers of the Spanish conversos, as well as the wealth and influence of some of them, aroused the envy and hatred of the populace. The Catholic clergy often incited mobs against these "Marranos" as unbelieving Christians and heretics. The Marranos thus came to be hated even more than the Jews. A wave of violence broke out against the Marranos at Toledo in 1449. Instigated by two priests, Juan Alfonso and Pedro Lopez Galvez, a Christian mob plundered and burned the house of the wealthy converso Alonso Cota and went on to attack the residences of other wealthy New Christians in the quarter of la Magdelena. The conversos, under Juan de la Cibdad, opposed the mob, but were defeated and hanged by the feet. As an immediate consequence of this riot a number of alleged crypto-Jews were deposed from public office. Another attack was made upon the New Christians of Toledo in July 1467. The houses of the Marranos near the city's cathedral were burned, and the conflagration spread so rapidly that 1,600 houses were consumed, including the beautiful palace of Diego Gomez. Many Christians and still more conversos perished in the flames. Many Marranos were killed in mob violence and several were captured and hanged. The example set by Toledo was imitated six years later by Córdoba, where Christians and conversos formed two hostile parties. On March 14, 1473, Bishop Don Pedro led a procession in which a Marrano girl had allegedly thrown filthy water on a stature of the Virgin Mary. The crowd immediately raised a fierce shout for revenge, turning on the conversos, denouncing them as heretics, killing them, and plundering and burning their houses. To stop the excesses, the highly respected Don Alonso Fernandez de Aguilar, whose wife was a member of the widely spread converso family of Pacheco, together with his brother, the famous military leader Don Gonzalo Fernandez de Cordova and a troop of soldiers, hastened to protect the New Christians. Don Alonso called upon the mob to retire, but the knight Diego de Aguayo led the mob to attack the conversos. Girls were raped, and men, women, and children were slain. The massacre and pillage lasted three days, and it was then decreed that, in order to prevent the repetition of such excesses, no converso would be allowed to live or hold office in Córdoba. In the same year, attacks on the Marranos arose in numerous cities. At Montoro, Bujalance, Adamuz, La Rambla, Santaella, and elsewhere, mobs attacked and killed the Marranos and plundered their houses. At Jaén a constable who tried to protect the conversos was attacked and killed in church. Mobs also attacked conversos in Andujar, Úbeda, Baeza, and Almodovar del Campo. In Valladolid groups looted the belongings of the New Christians. In Segovia on May 16, 1474 Don Juan Pacheco, himself a converso, led an attack against the alleged crypto-Jewish population that turned into a massacre. Nearly all the conversos of the city may have died. 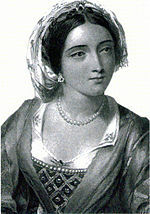 At Carmona every converso was reportedly killed. 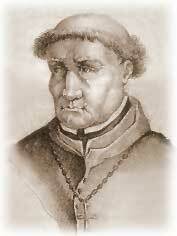 Torquemada was a zealous persecutor of the Marranos. The Spanish Inquisition was instituted to expose crypto-Jews among the conversos of Spain. The Spanish Inquisition was instituted in 1478 both to root out the remaining crypto-Jews and to bring order to the process of persecuting them. The Dominican Alonso de Hojeda of Seville convinced Queen Isabella I of Castile that crypto-Judaism still existed among the Andalusian conversos. An official report produced by Archbishop Pedro González de Mendoza of Seville and the Dominican Tomás de Torquemada corroborated this assertion. On November 1, 1478, Pope Sixtus IV formally established the Inquisition in the Kingdom of Castile. The government issued an edict ordering traditional Jews to live within a ghetto and separated them from the conversos. Despite this law, however, the Jews remained in communication with their converso relatives and former neighbors. The conversos of Seville and Aragon bitterly opposed the Spanish Inquisition, many of them having rendered considerable service to the king. However, hundreds of Marranos were executed as heretics through the Inquisition's efforts. Despite the persecution, crypto-Judaism continued to exist, as wealthy Marranos created secret synagogues in hidden rooms in their homes and went to great lengths to hide their Jewish practices. Nor did the Inquisition succeed entirely in breaking the family and neighborly ties between Jews and conversos. Alleged attempts of the Jews to win the conversos back to Judaism were listed in charges brought against the Jews by the government of Ferdinand and Isabella. They formed the grounds for the expulsion and banishment of Jews from the country in 1492, in order to prevent them from subverting the conversos. In 1506, mob violence broke out in Lisbon, killing any New Christians found in the streets. More than 500 conversos were reportedly slain and burned on the first day or the violence. On the next day the mob dragged innocent victims from their houses and threw them on the pyre. Even non-Jewish Christians who resembled or defended the conversos were killed. At least 2,000 conversos, as many as 4,000 by some accounts, perished within 48 hours, and by the third day there were no more conversos in the city. Some of the citizens had enabled their converso and Jewish neighbors to escape, and Portuguese crown severely punished the inhabitants who took part in the killings, and the ringleaders were either hanged or quartered. Even the Dominicans who had occasioned the riot were garroted and burned. Local people convicted of murder or pillage suffered corporal punishment, and their property was confiscated. The king granted religious freedom to all conversos for 20 years. The liberated New Christians of Portugal were distinguished for their knowledge, their commerce, and their banking enterprises. They were also resented for their power by competing and lower class Christians. Many conversos found new hope for the future when the foreign Jew, David Reubeni arrived on the scene. Not only was Reubeni invited by King John to visit Portugal; but he also received permission "to preach the law of Moses." Many Portuguese conversos regarded Reubeni as their savior and Messiah. The Marranos of Spain also heard the news, and some of them left home to seek out Reubeni. In 1528, while Reubeni was still in Portugal, some Spanish conversos forcibly freed from the Inquisition a woman imprisoned at Badajoz. The rumor spread that the conversos of the entire kingdom had united to make common cause. This increased the resentment and fear of the populace, who attacked the converses of Gouvea, Alentejo, Olivença, Santarém, and other places. In the Azores and the island of Madeira virtually all of the conversos were massacred. As in Spain, the king began to believe that a Portuguese Inquisition could serve both to control the excesses of mob violence and root out any conversos who were secretly still practicing Judaism. The Portuguese conversos waged a long and bitter war against the introduction of the tribunal, and spent large sums to win over the Catholic hierarchy, but to no avail. The conversos suffered immensely at the hands of the Inquisition and in mob violence. Many were robbed and killed at Trancoso, Lamego, Miranda, Viseu, Guarda, Braga and Covilhã. In 1562 the Catholic prelates convinced the government to require conversos to wear special badges, and to order the Jews to live in ghettos (judiarias) in cities and villages as was previously the case. Many Marranos, who were threatened and persecuted by the Inquisition, left Spain and Portugal in bands or as individual refugees. Many of them escaped to Italy, some settling in Ferrara where Duke Ercole I d'Este granted them privileges. Spanish and Portuguese conversos also settled at Florence. They received privileges at Venice, where they were protected from the persecutions of the Inquisition. At Milan they materially advanced the interests of the city by their industry and commerce. At Bologna, Pisa, Naples, Reggio, and many other Italian cities. Many Conversos also went to Dubrovnik in southern Croatia, formerly a considerable seaport. In May, 1544, a ship landed there filled with Portuguese refugees. 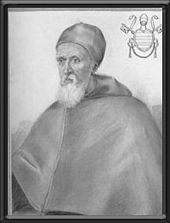 Pope Paul IV instituted the persecution of the Marranos in Italy. In Piedmont Duke Emmanuel Philibert of Savoy welcomed Conversos from Coimbra and granted them commercial and industrial privileges, as well as the free exercise of their religion. Rome was also the new home of many conversos. Pope Paul III received them at Ancona for commercial reasons and granted complete liberty "to all persons from Portugal and Algarve, even if belonging to the class of New Christians." Three thousand Portuguese Jews and conversos were living at Ancona by 1553 during the papacy of Marcellus II. Two years later, however, Pope Paul IV issued orders to have all the conversos thrown into the prisons of the new Italian Inquisition which he had instituted. Sixty of them, who repented of their crypto-Judaism and acknowledged the Catholic faith as penitents, were transported to the island of Malta; 24, who adhered to Judaism, were publicly burned as heretics in May, 1556. Some of those who escaped the Inquisition were received at Pesaro by Duke Guido Ubaldo of Urbino. Guido had hoped to have the Jews and conversos of Turkey select Pesaro as a commercial center. When that did not happen, he expelled the conversos from Pesaro and other districts in 1558. Many conversos sought refuge beyond the Pyrenees, settling at Saint-Jean-de-Luz, Tarbes, Bayonne, Bordeaux, Marseille, and Montpellier. They were married by Catholic priests, had their children baptized, and publicly pretended to be Catholics. In secret, however, they circumcised their children, kept the Sabbath and feast-days as far as they could, and prayed together as Jews. Kings Henry II (d. 1559) and Henry III of France (d. 1589) protected them from various accusations made against them. At St. Esprit, as well as at Peyrehorade, Bidache, Orthez, Biarritz, and St. Jean de Luz, they gradually avowed Judaism openly. 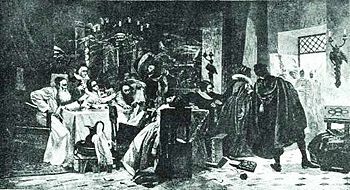 In 1640 several hundred conversos, considered to be Jews, were living at St. Jean de Luz; and at St. Esprit there was a synagogue as early as 1660. In the Ottoman Empire, where Judaism and Christianity both enjoyed a considerable degree of toleration, most conversos openly declared their return to Judaism and later built important communities in Salonika. Many conversos traveled to Flanders, attracted by its flourishing cities, such as Antwerp, where they settled at a relatively early date, and Brussels. Conversos from Flanders, and elsewhere, also went as Catholics to Hamburg and Altona about 1580, where they established commercial relations with their former homes. Some went as far as Scotland. Christian IV of Denmark invited some New Christian families to settle at Glückstadt about 1626, granting certain privileges to them and also to the Conversos who came to Emden about 1649. Individual New Christians also went to London, and from there their families spread to Brazil and to other colonies of the Americas. The migrations to Constantinople and Salonika, where Jewish refugees had settled after the expulsion from Spain, as well as to Serbia, Romania and Bulgaria, and to Vienna and Timişoara, continued to the middle of the eighteenth century. Large numbers of conversos were also able to remain in Spain and Portugal, despite the extensive emigration and the fate of the victims of the Inquisition. The New Christians of Portugal breathed more freely when Philip III of Spain came to the throne and, by the law of April 4, 1601, granted them the privilege of unrestricted sale of their real estate as well as free departure from the country for themselves, their families, and their property. Many soon followed their coreligionists to Africa and Turkey. After a few years, however, the privilege was revoked, and the Inquisition resumed its activity. Many Portuguese conversos clung faithfully to the religion of their fathers, bearing torture for their faith and identity. In the early twentieth century, several crypto-Jewish communities still existed in northeastern Portugal (namely in Belmonte, Bragança, Miranda, Chaves, among others). The last remaining community in Belmonte officially returned to Judaism in the 1970s and opened a synagogue in 1996. ↑ Ruth Almog, "Cryptic, these crypto Jews" haaretz.com. Retrieved October 7, 2008. This page was last modified on 23 August 2018, at 15:56.